I have this theory that if you snapped Eddie Martin in half (not that you'd actually want to!) you would find The Blues stamped all the way through. 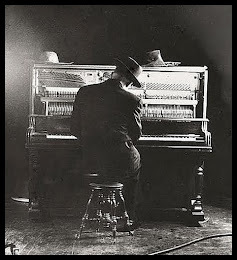 Now, here's the thing about Eddie...it wouldn't always be the same blues. It is technicolour, black and white, fast, slow, acoustic, electric, pick, slide, hammer, solo, trio, big band, small band, sad, happy, traditional, modern. You get my point? He has now released 16 albums and on every one he takes us some place full of good stuff, whether it is tipping a hat to Magic Sam or Elmore James or winding us up with some blues-rock about the state of modern music. Eddie can never be accused of standing still. 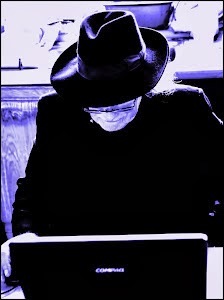 He is too busy looking forward whilst respecting his blues heritage. 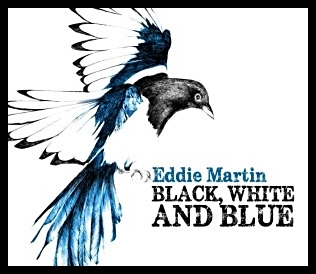 The new album “Black White And Blue” has Eddie back to where I like him best - as a rock solid trio zapping it straight down the electric blues highway with no shortcuts or diversions. This album of ten self-penned tracks opens with 'Mississippi Sound', a take-no-prisoners, thundering five minutes of full-on drum driven, simple boogie riff in-your-face blues. Eddie's voice is cleverly brought right to the front here, as on a number of tracks, so he is nearly whispering in our ear against this hectic background as he tells us to pay respects to our musical heritage and 'listen to the man'. The bizzyness continues into the next track 'Angry' where he scatterguns down the state we are in – 'the hippy dream', 'there is no blueprint', 'people going hungry', laying tremendous harp on top, pausing only for a slower and more reflective bridge. The title track, with some fine free-wheeling harp, carefully acknowledges the 'bruised' African legacy of the blues and recognises that it has now been in the blender and is 'black, white and blue' – something with which, I guess, most blues musicians would relate. There is not much on the album in the way of backing vocals, but in the delightful ballad 'I ChooseYou' (ft. Elles Bailey) this works really well and you wonder if there could have been other tracks using similar backing. However, to emphasise the breadth of his solo skills. there is a beautiful, slow and romantic track 'Graceful Ways' which, inhaling the spirit of Peter Green and bringing Eddie's voice right back into your ear, would grace the airwaves of any blues radio show anywhere. This one will be a keeper. The final track 'It All Depends' is a superbly produced piece, full of slide sustain and atmosphere. It is a sober wake-up call to look around you and see the walls, the divisions and the far-reaching decisions about who is free - an utterly modern message from an utterly modern bluesman. Eddie has smartly kept this all in the family, with his son Joe Garcia carrying out an impeccable recording production and his wife, the talented artist Nicky Knowles conjuring a stunning album cover. This is one of the best uncluttered blues albums I have heard for a long time. The band is absolutely made to measure with Zak Ranyard and Tom Gylkes being exactly there close up on Eddie when they are needed and totally unobtrusive when he needs air and space. The album manages to be both traditional and modern without compromising either in any way. It perfectly showcases all Eddie's proven talent in a ten-track package and on each track he offers something fresh and original. Class. The Hat reviews albums, live music, books and other stuff. Contact details are on the 'How The Hat Reviews' page. Previous reviews can be found by accessing the alphabetical cross columns.